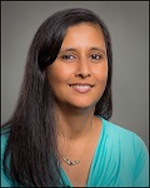 Dr. Tuya Pal is a board-certified clinical geneticist based at the Vanderbilt-Ingram Cancer Center, an NCI-designated Comprehensive Cancer Center in Nashville, Tennessee. She is an Associate Professor of Medicine and the Associate Director of Cancer Health Disparities. For further information on Dr. Pal, click here. 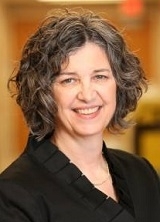 Dr. Georgia L. Wiesner is an Ingram Professor of Cancer Research, Professor of Medicine in the Division of Genetic Medicine and the Director of the new Clinical and Translational Hereditary Cancer Program for the Vanderbilt-Ingram Cancer Center. For further information on Dr. Wiesner, click here. Dr. Deborah Cragun earned a doctoral degree in the Department of Community and Family Health at the University of South Florida’s College of Public Health. She received her master of science degree from the University of Cincinnati’s genetic counseling program and was certified by the American Board of Genetic Counseling in 2005. She has worked as a clinical genetic counselor at Cincinnati Children’s Hospital for four years and at Moffitt Cancer Center since 2011. She completed her postdoctoral research fellowship in molecular and genetic epidemiology within the division of Population Sciences at Moffitt Cancer Center. She is currently an assistant professor at the University of South Florida in the College of Public Health where she is the program director for the newly approved and sole genetic counseling training program within the state of Florida. For further information on Dr. Cragun, click here.